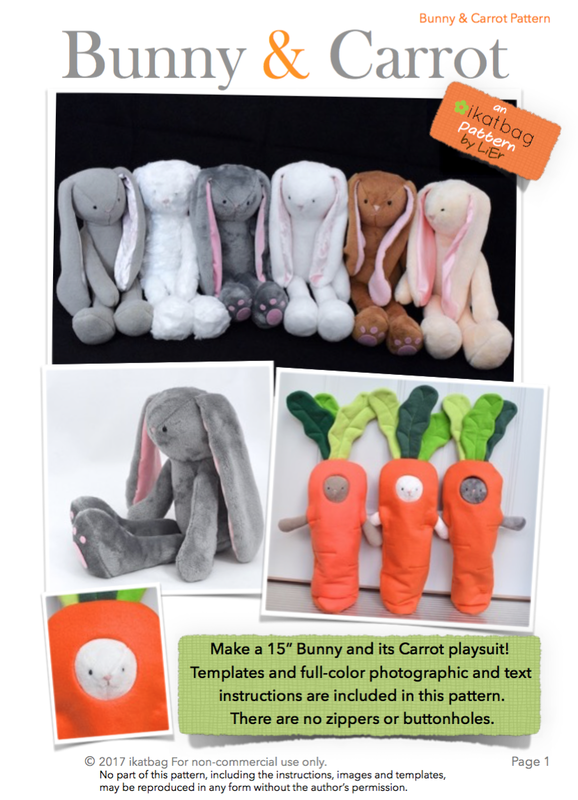 A pdf sewing pattern to make a 15" Bunny and its Carrot playsuit. Suitable for adventurous beginners and intermediate seamstresses. Recommended fabrics for the Bunny are fleece and faux fur knit. Recommended fabrics for the Carrot are fleece or felt. Prerequisite skills for this project include being able to sew straight and curved seams, backstitch, machine-baste, simple topstitching and hand-stitching (links are provided to supplementary tutorials for hand stitches). There are no zippers or buttonholes in this project.